A ground-breaking new tool that uses the power of the blockchain to show the impact of charitable donations and how funds are spent. Promise allows donors to stay connected to the impact of their donation, fostering deeper trust and connection with the cause. For donors - we give them absolute confidence that their funds are being used as intended. For charities - we offer the chance to build trust and confidence via greater transparency, bringing more money to increase impact. Promise is currently running a series of pilots in collaboration with leading charity payment platforms. Pilots in the US are being run in collaboration with Network For Good, and pilots in the UK are being run in collaboration with Charity Checkout. Network For Good is a leading charity payment platform serving nearly 200,000 charities, and having processed $2.2bn of donations to date. Network For Good also processes a large volume of donations via Facebook. Charity Checkout is an upcoming UK charity payment platform supporting around 5,000 charities. Charity Checkout is the designated payment provider for The Big Give in 2018. 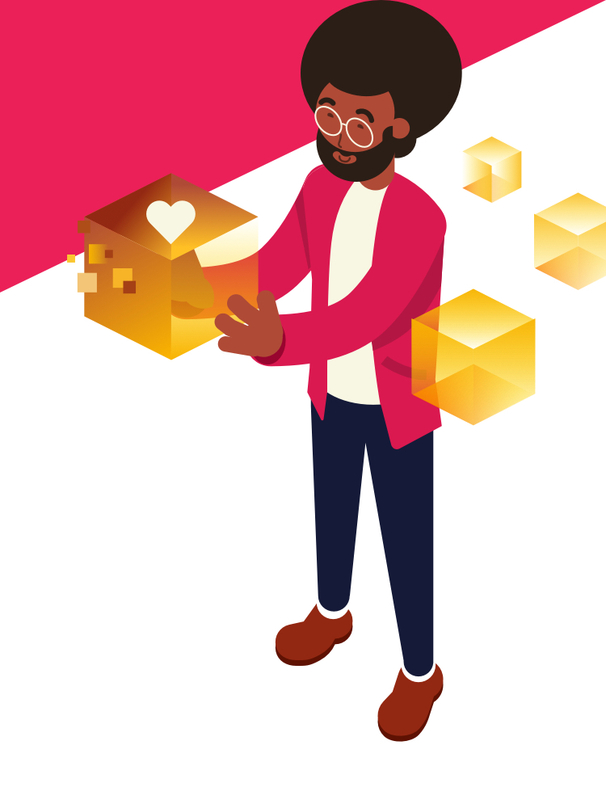 By using the transparency of the blockchain to provide irrefutable proof of milestones, voting, and movement of funds, we aim to bring significantly more money and donor engagement to all good causes we work with. Our team consists of proven startup veterans. We are a mixture of enterpreneurs, engineers, designers and blockchain enthuasiasts. We are connected by our great passion and commitment to making a difference in the world. In 2004 Alex founded The Optimum Health Clinic, one of the world leading integrative medicine clinics for patients in 40 countries, and now run as a UK charity. More recently he founded online self development platform Conscious Life. He has been recongised by the Parlimentary Review. Ben was previously at Morgan Stanley, where he was chief performance engineer for the Google IPO in 2004. Subsequently he was the lead architect at Deutsche Bank (listed derivatives) before becoming the co-founder and CEO at JClarity. A blockchain enthusiast for many years, Ben is heavily involved in the Java community and has writen several books on Java Development. Ben also has a MA in Maths from Cambridge University. Jon is a world renowned charity advisor, including ALS for the Ice Bucket Challenge which raised $100M globally. He shares speaking platforms with leaders such as Mikhail Gorbachev, Kofi Annan & Steve Wozniak. We are working with a great team of advisors from the charity, blockchain and technology sectors. Some are shown below. More will be announced as we progess. Founded several successful businesses including a leading software monetisation platform and Techtopia, a creative campus and tech incubator. In 2014, he co-founded Safer Technologies which was acquired by Avast Software in March 2017. Chartered accountant and advisor to ambitious tech companies. Represents a number of HNW and UHNW individuals, and has recently begun advising UK blockchain companies. Founder of the UK's leading online charity fundraising software provider, Forbes "30 Under 30" social entrepreneur and charity advisor. Previously the women’s editor of the Daily Mail, Shirely has been heavily involved in charities for the last 30 years. Founded & invested numerous start ups including Copypress, Faceit, Auction Club, Conscious Life, Techtopia and Lifecake (acquired by Canon). Founder of Pepperjam (sold to eBay in 2009), founder of angel fund KBJ Capital, best-selling author, and featured on Planet of the Apps. Over 20 years experience as an angel investor. Built one of the top 5 creatives x data agencies in Asia called Fluid which he sold in 2016 to PwC. Founder & Chairman of Nest. Former music manager of the year, representing artists such as Zane Lowe, Pendulum and Chase and Status. We are open to all the questions you might want to ask. Promise is being built by an ever growing team and partners, so whether you’re interested in working with us or investing, feel free to reach out!